State College is a popular place to visit and to live, according to recent findings by two websites. In a survey of 1,000 Americans, Expedia.com found that State College is among the top 25 small and mid-size towns to visit. Realtor.com, meanwhile, analyzed data to determine the most in-demand metro markets where millennials are moving and the State College area came in at No. 9. On the Expedia list, State College came in as the No. 24 small or mid-size town for travelers. 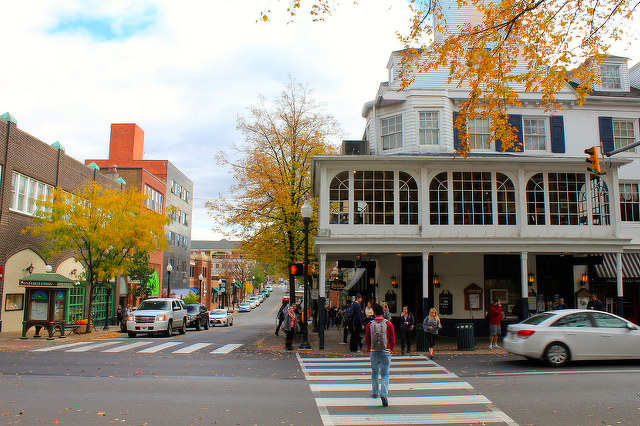 "A college town with a school as prestigious as Penn State naturally has a lot going on, whether you find yourself cheering on the Nittany Lions, lounging on Old Main Lawn, or unwinding at the local watering holes," according to Expedia. "However, visitors quickly realize there’s far more to State College than school pride in Happy Valley." The list cites the Arboretum at Penn State and Webster's Bookstore Cafe among the perks of State College. State College was sandwiched between the two other Pennsylvania towns that made the list -- Hershey at No. 23 and New Hope at No. 25. Cape Cod, Mass., was No. 1 on the list. Realtor.com, meanwhile, found that while millennials appear to be gravitating toward large cities and tech hubs, many are finding an appeal in the smaller State College area. Happy Valley is an outlier on the list, which was topped by cities with much higher populations and costs of housing and living. San Francisco was No. 1, followed by Seattle, Houston, Dallas, and Washington, D.C. in the top five. Fellow Big Ten town Ann Arbor, Mich., was the most similar municipality on the list, coming in at No. 8, just ahead of State College. But the home of the University of Michigan has a larger population and a major urban center within an hour's drive in Detroit. The site also analyzed where members are Generation X are moving, but no Pennsylvania market made that list, which was topped by Houston. To determine the hotspots where millennials -- defined as those born between 1981 and 1998 -- are moving, the site looked at U.S. Census Bureau migration data from 2011 to 2015, metros where each generation is searching for homes on realtor.com by page views, and percentage change in homeownership from 2016 to 2018, according to Nielsen Holdings. It also considered metro areas that gained more residents than they lost and, to control for population size, percentage change of new residents. While the cost of homes in the immediate State College area can seem steep, the area's median home list price is lower than the national median, and far lower than the other cities that made the top 10. Here's what the site had to say about State College's surprising appearance on the list. "There were some surprises on the list, smaller metros far from Silicon Valley and Silicon Mountain (Denver). But what the college towns of Ann Arbor and State College lack in size and prestige, they make up for in affordability. "Every year, thousands of recent high school graduates flock to Pennsylvania State University, in State College, and the University of Michigan, in Ann Arbor. Many of them stick around after graduation. And why not? The median home list price is just $235,550 in State College, whereas the national median is $269,500, according to realtor.com data. While Ann Arbor's median price of $343,625 is a bit higher, the metro has a strong job market and is within commuting distance from Detroit." Marc McMaster, Centre County Association of Realtors president, told parealtor.org that many of the young adults buying homes in the area are Penn State alumni who are drawn back to State College. “A lot of the millennial buyers here are Penn State alums that may have left for their first job, and then moved into a better position back in State College," he said. "The Penn State alumni base is very large and it draws a lot of them back to State College. Relatively speaking, homes are still affordable in State College." McMaster also cited the appeal of State College's nightlife, parks and recreation and nearby nature sites. In January, Livability.com ranked State College No. 52 on its overall list of Top 100 Best Places to Live in the nation. 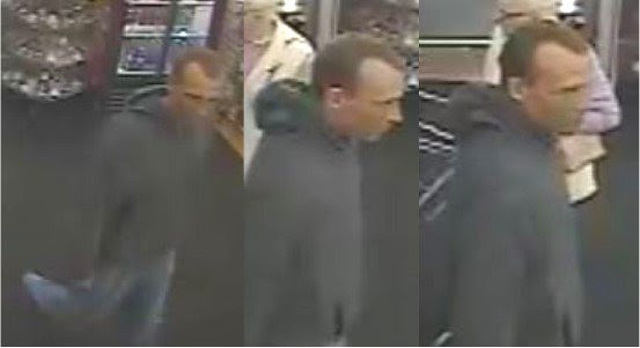 State College Police are looking for a suspect in a reported theft from Bed Bath & Beyond, 313 Benner Pike. Police said that at 11:30 a.m. on March 1, a man was observed taking a Dyson vacuum cleaner from the store.